The ministry of external affairs (MEA) and the department of posts (DOP) have decided to open a total of Seven post office passport seva kendras in Andhra Pradesh for delivery of passport related services to the people. The objective of this partnership is to extend passport related services on a larger scale and to ensure wider area coverage. The Seven new POPSKs will be opened at Anantapur, Chittoor, Guntur, Krishna, Ongole, Rajamundry and Srikakulam. 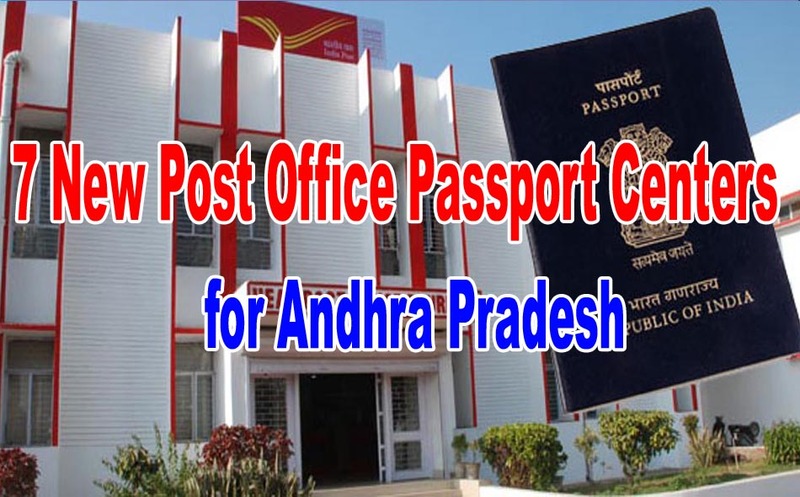 With the opening of seven new POPSKS the total number in Andhra Pradesh would be 10 and the total number of passport seva kendras, passport seva laghu Kendra and post office passport kendra would be 15. Thus, almost each district will have either a PSK OR PSLK OR POPSK for the benefit pf the passport applicants. The MEA has opened 14 passport seva laghu kendras (PSLK) after May 2014, including in all the north eastern States and at Bhimavaram.